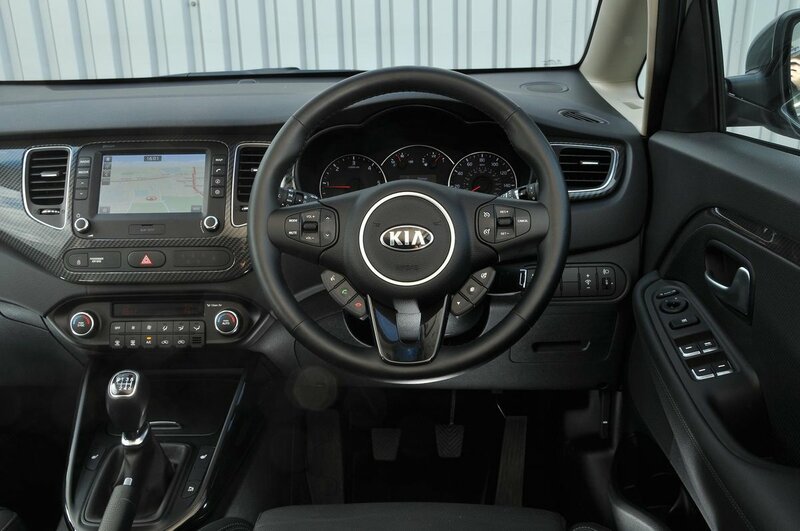 Kia Carens Interior, Sat Nav, Dashboard | What Car? The Carens’ interior is constructed from plastics you’ll find across the Kia range, which is to say it rivals a Renault Grand Scenic and Vauxhall Zafira Tourer for quality, but MPVs such as the VW Touran are a step above. The driver gets a manually adjusting seat as standard, as well as height and reach adjustment for the steering wheel. On 3 and 4 trim cars, 10-way electric leather seats become standard, and introduce lumbar adjustment for the driver, too. Whichever type of adjustment you have, there’s a wide range of it and most sizes of driver will be able to find their preferred position. Visibility forwards is very good, because the Carens' front pillars are slim and the car’s relatively raised driving position helps you see over and thus judge the edge of the bonnet easily. The view backwards, as in most MPVs, is obstructed by various pillars, but happily rear parking sensors and a rear view camera are standard from 2 trim and up. 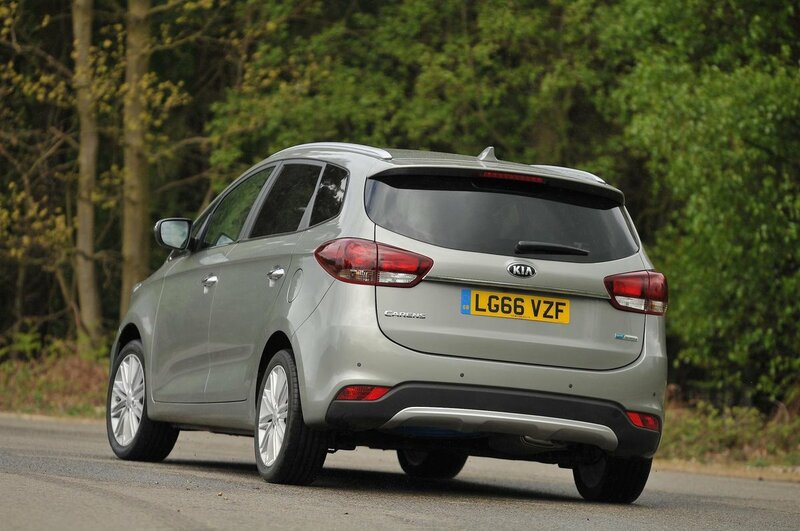 Range-topping 4 trim gets front parking sensors too, as well as a system that will park the car for you. Entry-level 2 cars get a simple monochrome-screen infotainment system with a radio, CD player, USB socket and Bluetooth. 2 and 3 trim models then get a 7.0in colour touchscreen that adds DAB radio, the rear view camera and in-built sat-nav. 4 models then add a slightly larger 8.0in screen and a more advanced sound system. 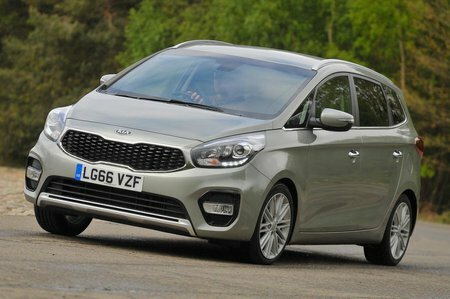 We’re yet to try the entry-level system, but we’ve tried similar Kia systems on other models and they are simple but very easy to use. The touchscreens operate in exactly the same way, and both are responsive to touch and easy to navigate, with standard Apple CarPlay and Android Auto.